I’m back home, sitting in my kitchen in London, reflecting on two extraordinary days. A bit longer if you count the night coach travels to and from Scotland, which were an adventure in themselves! So, before life returns to some semblance of normality, my kids come home from their bank holiday weekend excitements and I turn my attention to the ever-growing to-do list I want to remind myself of some of the things I have heard/learnt this weekend. Because conferences are an ideal time to recharge the birth battery and get an oxytocin hit! Teething is another popular subject with new Mums – we all know about teething granules, teething rings and Calpol, but another thing to investigate is Baltic amber. A friend of mine swore by teething necklaces with all three of her sons, and I have subsequently heard a lot of other positive reports. The advocates say that natural anti-inflammatory and pain-relieving properties of Baltic amber are perfect to soothe teething babies and that wearing the beads close to the skin will help calm a baby without resorting to drugs. Amber teething necklaces/anklets relieve the pain of teething in babies and toddlers when the beads rest against the skin during the day. However, in the past couple of years Trading Standards officers have had to issue warnings about sub-standard necklaces being sold on Amazon and other sites. And RoSPA do not recommend their use, primarily over fear of babies strangling themselves with the necklaces. So, if you are going to buy a teething necklace do ensure that it comes from a reputable source and that there is a double knot between each bead. The subject of cradle cap has come up several times in recent weeks – possibly because of the weather and our skin tending to be drier in the winter. Cradle cap is a fungal skin condition which is very common in babies. Most people are advised to use an anti-fungal shampoo, but my personal experience, and reports from others, has proved that this is not the best way forward – in my experience it dries the skin out too much which can often cause the baby to scratch and then get reinfected and very sore. Tui Bee Balme (which I give all my baby massage clients) is excellent for all dry skin conditions, even on the face, as it is entirely pure and organic, but I have found the best thing for cradle cap is calendula oil. Calendula has natural anti-fungal properties and because it is infused in a base oil it doesn’t dry the scalp out. Massage some into your baby’s head, leave for at least ten minutes, then brush vigorously using a circular motion with a soft bristled brush. The scurf should just lift off. It may take a few days of repeat treatments, but I found it to be the most effective. To buy calendula oil ask at your local health store, or order from any reputable aromatherapy oil suppliers. With any luck the summer is approaching and I have been doing a bit of research in to sun creams. If, like me, you worry about the chemical content of most things we put on our skins, then my latest recommendation is Jason Sunbrellas range. I put two of their sun creams to the test when I was skiing, and even my very resistant husband liked them! Unlike a lot of other organic/chemical-free suncreams they are really easy to use and smell great! You can get Jason products at As Nature Intended, Whole Foods and online at iloveorganics.co.uk or Amazon! This month’s focus has been on Reflux, so it is probably useful to cover some ground about tummy time etc. Positioning babies predominantly on their backs can mean they miss new experiences such as lifting their heads against gravity and learning to develop their arms by taking weight on them. Physiotherapists warn that a baby spending too long in carriers, baby seats and swings can also be detrimental. Cranial Osteopathy is something that seems to be invaluable for many babies. The Foundation for Paediatric Osteopathy, based in Clerkenwell, is a charity set up to offer cranial treatments to all kids on a donations basis. They now have a satellite clinic operating out of St John’s Hill Therapy Centre on a Friday (booking essential). This is what they say about treatment. Many new or even 2nd time around Mums ignore their own aches and pains and concentrate solely on their babies often at the expense of their own welfare. Life with a new baby is very demanding what with feeding, bathing, lifting and bending awkwardly to protect the baby. Being correctly aligned during and after pregnancy is the ideal. I’ve wanted to write about Postnatal Depression for a long time as it is such a hidden illness – so many women come out of the woodwork and admit that they have suffered AFTER going through it, but many will rarely put their hands up and admit they are not coping at the time – somehow it isn’t right, isn’t acceptable, is admitting defeat – aren’t we meant to totally adore being a Mum? I have struggled with depression and anxiety in my life so know how utterly terrifying and isolating it can be and feel it is very important to talk about it – to not let it be a taboo subject. 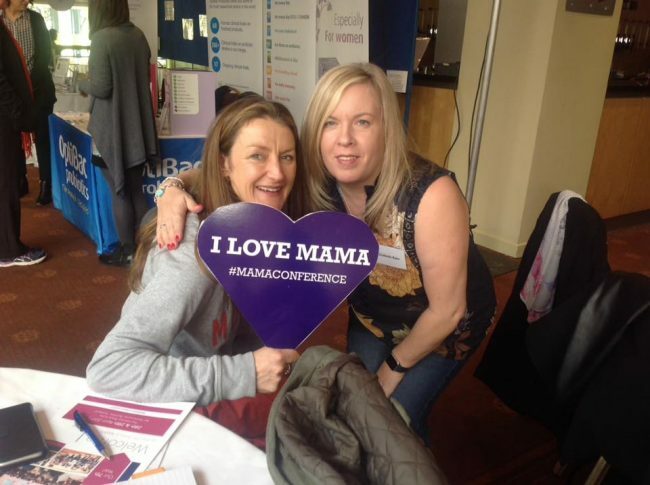 I did a huge amount of reading around the subject when I was training as a massage therapist – indeed baby massage has often been prescribed for Mums with PND to help with bonding and socialising. Certainly the raised levels of oxytocin when giving and receiving massage are beneficial. There are other key factors that help too.